Congratulations to Peggy Lewis, Miami University, and Joan Parker, University of Delaware, winners of the 2011 GODORT Silent Auction for the W. David Rozkuszka Scholarship. 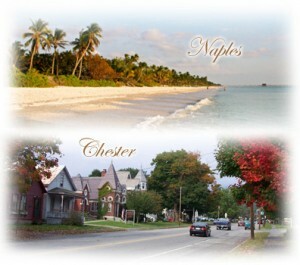 Peggy had the winning bid for the seven-day stay in Chester, Vermont, and Joan won the four-day stay in Naples, Florida. Enjoy the getaways! Over $1,400 was raised to support the Rozkuszka Scholarship, which since 1994 has provided financial assistance to an individual currently working with government documents in a library and completing a master’s degree in library science. GODORT and Readex would like to thank all the 2011 participants for their support of this worthy cause. Readex would also like to thank Stephen M. Hayes, GODORT Development Committee Chair and University of Notre Dame Entrepreneurial Spirit Endowed Business Librarian & Director, Thomas Mahaffey, Jr. Business Information Center, Hesburgh Libraries. Steve’s outstanding efforts to support the GODORT Silent Auction are critical to this annual event’s continued success.